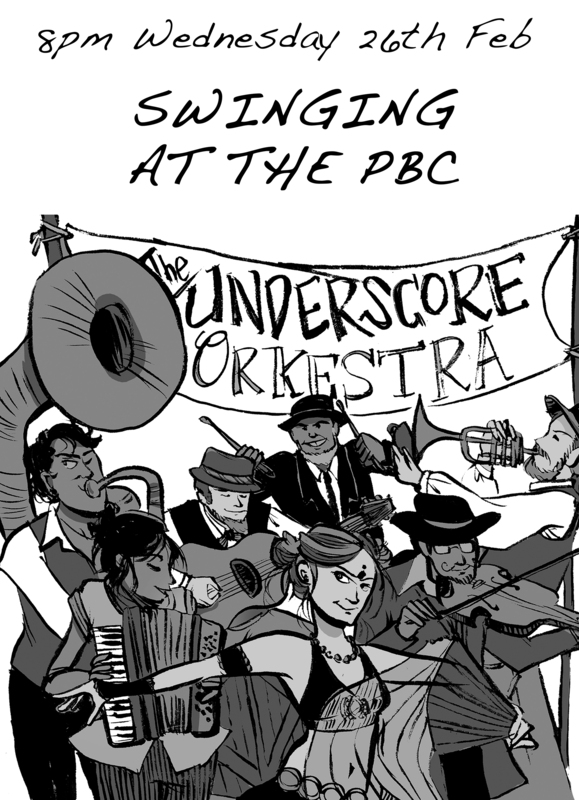 Next party: Swinging at the PBC with the Undescore Orkestra (26th February 2013). Live jazz! At the peebs! For one night only, we welcome the Underscore Orkestra to the Petersham Bowling Club. 8.00pm Live music with the Underscore Orkestra . The Orkestra play a mix of Balkan, Klezmer, Gypsy Jazz and Swing, but they'll be playing a solid, swinging set for dancers. Think 'street jazz', but with a rowdy, kohled-eyes and stamping-feet edge.